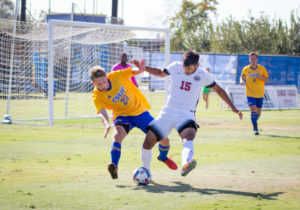 The CSU Bakersfield men’s soccer team snapped its five-game skid thanks to a late goal from redshirt-junior forward Julian Zamora. 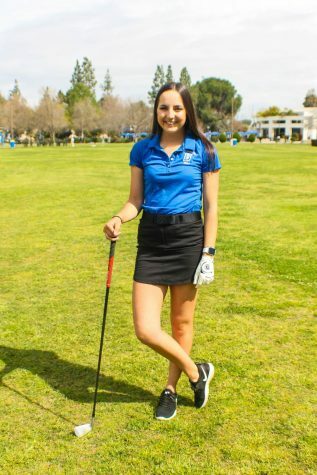 The game was all tied, but at the 71st minute, Zamora scored the game-winning goal as CSUB (2-5) beat Loyola Marymount University 2-1 Sunday, Sept. 18. 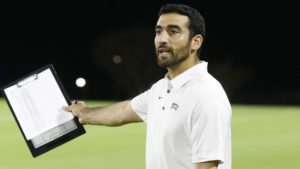 LMU pressed and had a chance to tie the match in the final minute. 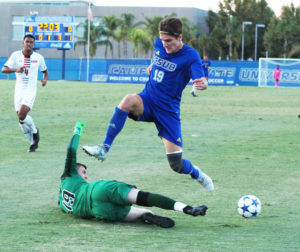 The Lions put the ball towards the CSUB goal but was deflected out by a CSUB player. 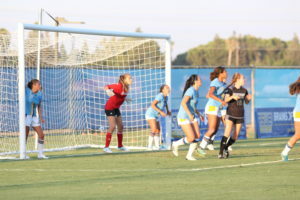 LMU had one last chance as it earned a corner kick with 34 seconds to go, but the shot went wide and CSUB broke its losing streak. 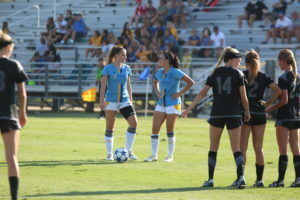 “It was a great response from the whole team in the second half,” said CSUB coach Richie Grant to gorunners.com. On Sept. 15, UC Davis’ junior defender Kyle Higgins scored the game-winning goal at the 71:41 mark to give Aggies a 3-2 win over the Roadrunners on Thursday night at the Main Soccer Field. 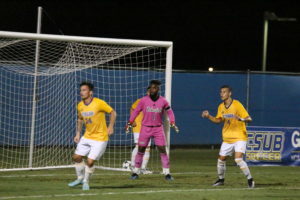 “I thought our lads did really good tonight,” said CSUB head coach Richie Grant. “I’m extremely disappointed with the officiating on the third goal. CSUB strong after the first half and had opportunities to take the lead but couldn’t convert its chances. 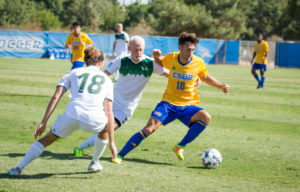 CSUB is scheduled to host CSU Northridge Sunday, Sept. 25 at the Main Soccer Field at 7 p.m.